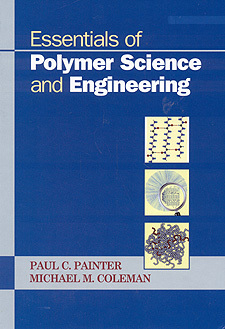 Polymer Science Book from C.H.I.P.S. Essentials of Polymer Science and Engineering is at once an introduction to polymers and an imaginative invitation to the field of polymer science and engineering as a whole, including plastics and plastics processing. Essentials of Polymer Science and Engineering explains the science of polymer engineering, and at the same time, tells the story of the field from its beginnings to the present, indicating when and how polymer discoveries have played a role in history and society. Polymer Materials: Boon or Bane?